The Montauk Beach House is situated in the heart of Downtown Montauk. A block from the Atlantic Ocean surf beaches and a short stroll to Montauk’s shops, restaurants, bars and cafés. A boutique hotel with an active daytime environment and a comfortable, warm vibe at night it is a social gathering space to eat, drink, relax, and make memories. Adult-oriented with DJs and cocktails prevailing, especially on weekends. The giant wall of glass doors that open to the street gives the bustling Hotel lobby an open-air feel. Quirky and fun furniture enlivens the lobby which features an espresso bar supplied with a variety of coffees, fresh croissants baked locally, and other light fare. 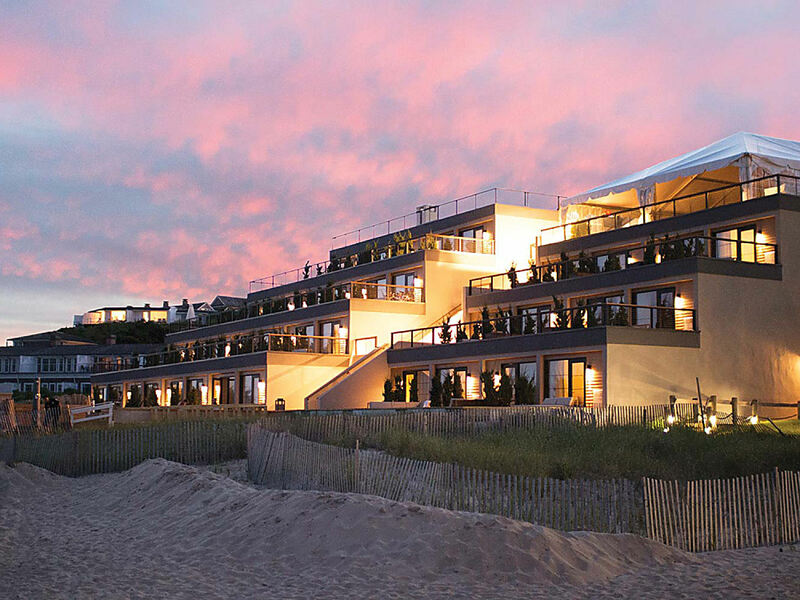 Hamptons icon Gurney’s is located on Montauk’s most pristine stretch of oceanfront real estate. 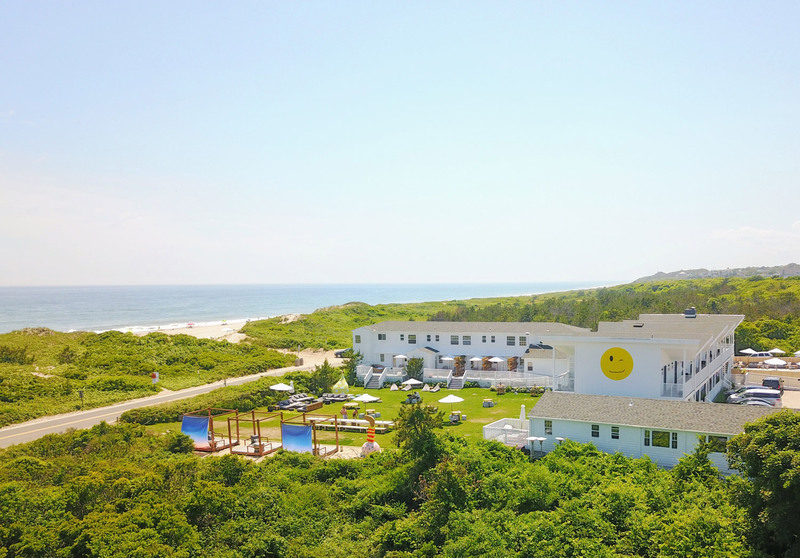 Montauk’s only year-round resort, it provides guests with direct access to a 2,000-foot private sand beach. 146 rooms, suites, and beachfront cottages, all deliver dramatic ocean views. Five unique dining and drinking venues offer everything from elegant seasonal cuisine to casual fare to craft cocktails. 25,000 square feet of meeting and banquet space works well for business or social events. Gurney’s famed spa is renowned for its healing treatments and ocean-fed seawater pool, the only pool of its kind in North America. 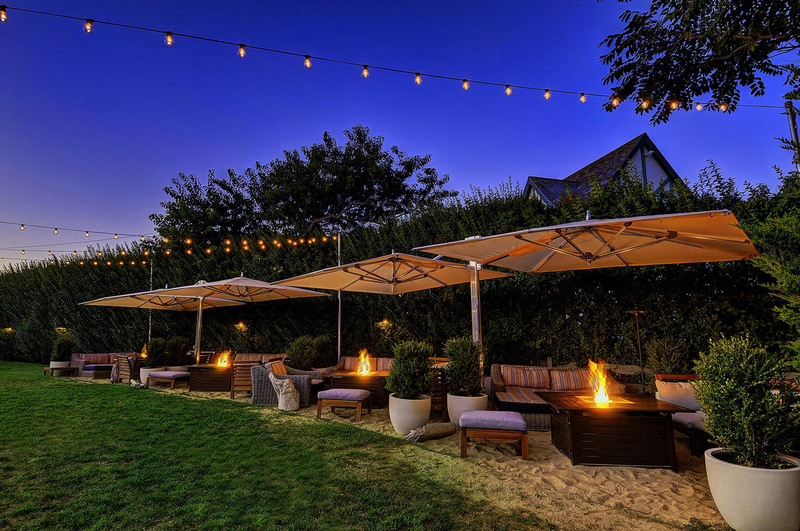 The Beach Club, offering spectacular views of the Atlantic, provides the only beachfront food and beverage service experience in the Hamptons. Nestled on Block Island Sound, The Montauk Soundview makes it easy to find peace and adventure in equal measure. Float freely in the heated outdoor pool, make your way to adjacent Mermaid Beach, enjoy the togetherness of friends and family in the spacious private rooms, or take an excursion to nearby Montauk Village. Wave Inn is a place to unwind and participate in all that Montauk has to offer. Spacious guestrooms work well for families or for a romantic getaway. There’s the option of relaxing by the pool or heading into Montauk for shopping or dining. Enjoy panoramic views of the Atlantic Ocean, watch sailboats pass by as you stroll golden sand beaches. Set across from a pristine and wild, moon-shaped beach, the Hero Beach Club sits surrounded on all sides by nature. This 30-room retreat features original 1950’s architecture, elevated with modern design and amenities. Lounge in the garden, sunbathe on Umbrella Beach or hike through the nearby pathways; Montauk’s preserved beauty provides an unparalleled backdrop. Eager to explore the sport and activities that Montauk has to offer? HBC provides both unique access to adventure and a respite for those seeking rest and relaxation. An environment for families and the inquisitive traveler eager to explore the untouched beaches and environment located at The End of The World. On arrival, HBC staff will curate your personal Montauk experience. 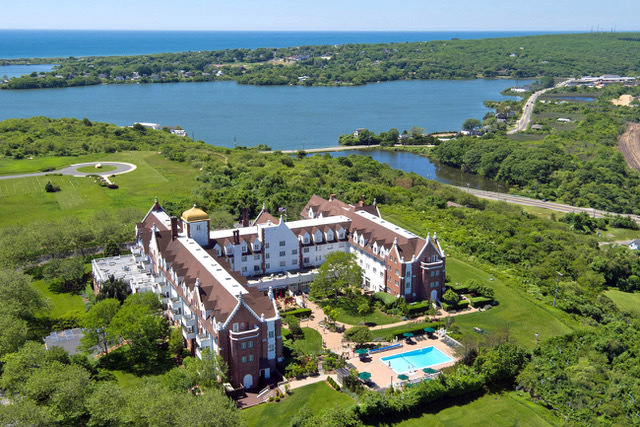 Montauk Manor hotel is situated on a hilltop with sweeping vistas of the Atlantic Ocean, Gardiner’s Bay and Block Island. Covering 12 acres, the Manor features 140 tastefully decorated condominium apartments — from studios to three bedrooms — many with terraces offering panoramic views. Enjoy outdoor and indoor pools, spa, state-of-the-art meeting facilities, tennis, and a health club. 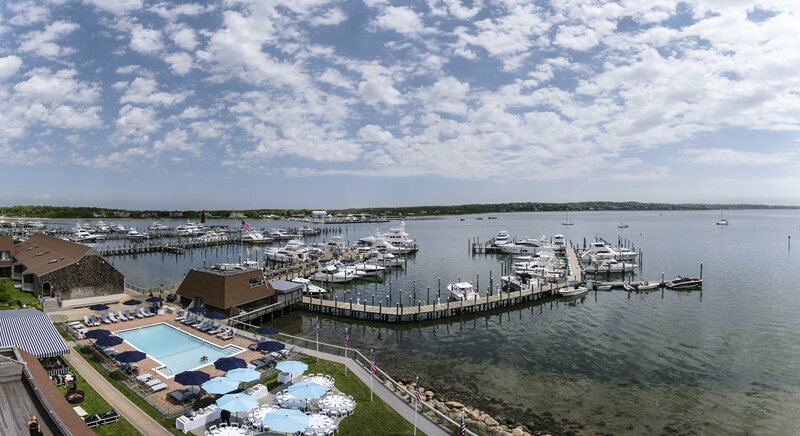 From early rum-running days in the Prohibition era to today, the Montauk Yacht Club Resort & Marina is no stranger to escape, adventure and relaxation. Equally suitable for a couple’s getaway or a huge extended family vacation. Each room has nautical accents and is always stocked with luxurious amenities. Whether you are looking for a little wind in your sails or a unique fishing excursion, the Marina provides charter boats and sailing options which can be customized to your personal requirements. 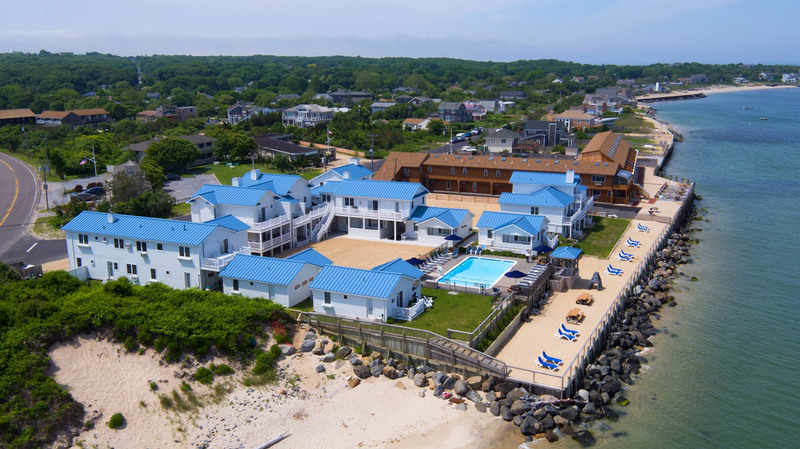 Located across from the beach, The Beachcomber Resort hotel in Montauk NY features 88 luxury rooms ranging from studios to two bedroom suites. All with ocean views experienced from your own balcony. Take advantage of the Beachcomber’s private beach access without having to worry about crowds. 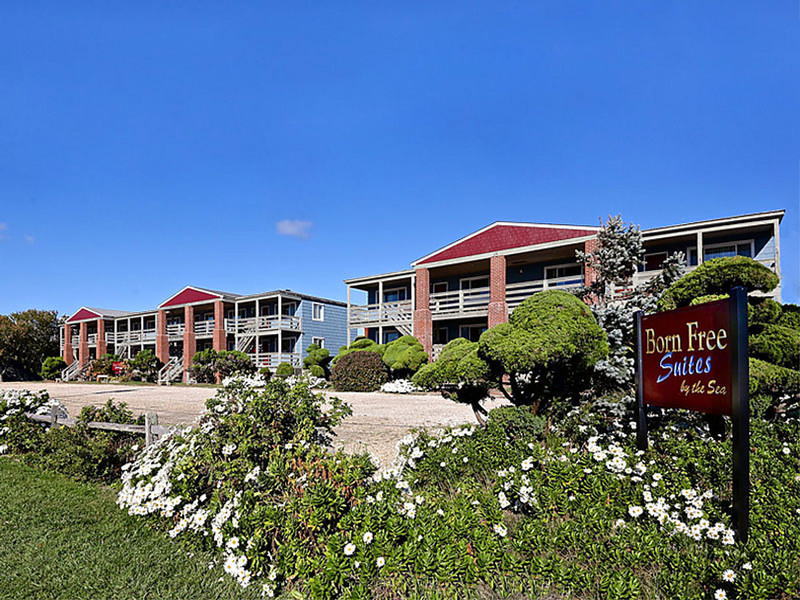 Born Free Suites by the Sea offers a choice of twenty-four rooms: One and two-bedroom suites for the evening, weekend, or week. Adjoining rooms are available. Each has a living room, kitchen/dining area, and bedroom. Open year-round.